You’ve probably already noticed how color can completely change and revamp a city. Just take a look at the Rainbow Row district in Charleston, South Carolina. The tourist attraction and postcard fixture draws crowds from all over to take in the beautifully-hued series of private Antebellum-style homes lining the street. It’s obvious designers of the Victorian era embraced color palettes. 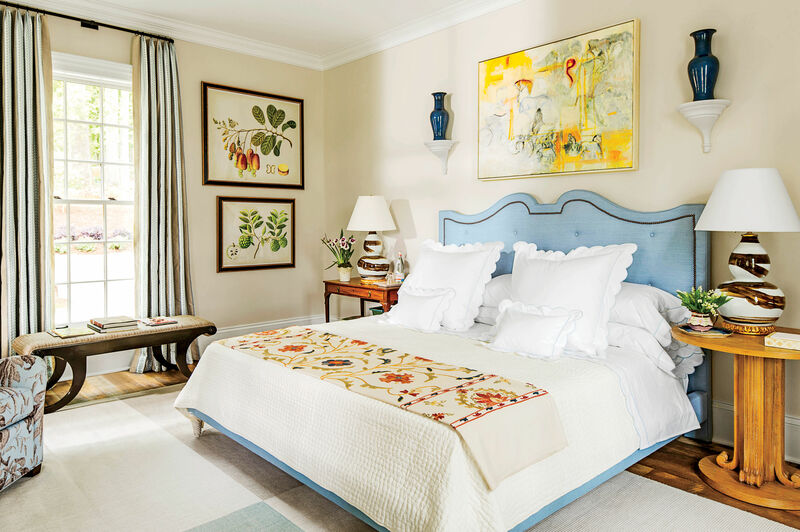 Beyond the Lowcountry, though, any road trip across the South will reveal bold, eye-catching, and stately homes that borrow more colors from the rainbow than classic neutral shades from Benjamin Moore Paints. Among a sea of gray, white, and light blue, it’s quite refreshing to see pink, purple, and green exteriors that are no shrinking violets in their coastal community and neighborhoods. Some boast just one pop of color, others somewhat mimic a box of Crayola, but they all deliver major curb appeal—without us ever stepping a foot inside. When you’re ready to give your humble abode a complete makeover, start with the exterior, even if it’s just the front door. These homes will inspire you to paint the town red, or in any other bright color you prefer. 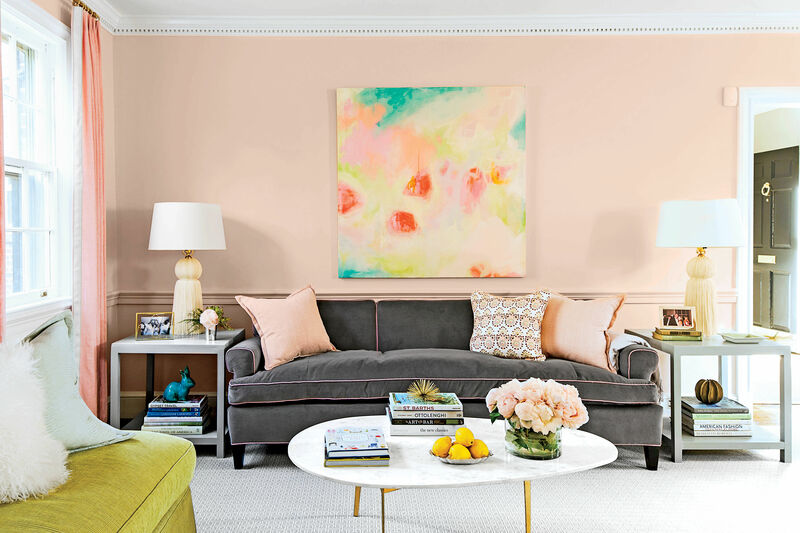 This house with bubblegum-colored trim has us, well, tickled pink. At first glance, this charming North Georgia cottage house may seem totally out of the blue, but it really comes to life with the "Asparagus" green front door. We love the architectural style and tropical inspiration of a classic Conch Victorian home. We don't know what's more beautiful, those tasty-looking blueberry bushes lining the driveway or the sunny exterior paint that's making us feel a little cheery. A bold yet subtle change from the bright colors of the Lowcountry's Rainbow Row. The navy finish is unexpected and quite beautiful. Lay it all out in lavender. If all Victorian homes could be this pretty in pink. White may be the go-to color choice for trims and shutters, but this house proves mint green and orange are complementary shades for blue siding. A historic home painted in any (and every) color under the sun, with the sun's rays depicted, too. Patriotic pride on full display. Suffice it to say, we're green with envy. The ultra-vibrant color combination of yellow and blue come together surprisingly well here. A real-life Southern Barbie dream house. One of the many brightly-colored beachside homes that make up this quiet coastal community. Gorgeous fuchsia accents and trimming. This happy-hued house spans the entire color spectrum of the rainbow.